Card Text Play: Stun each non-Mars creature. Gain 2 chains. 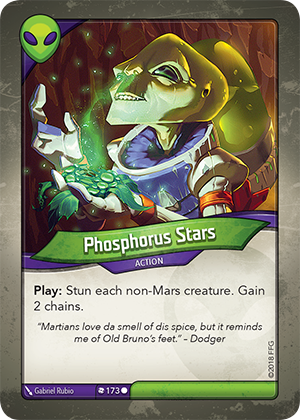 Does this affect only enemy non-Mars creatures? This is affects every non-Mars creature, including your own.